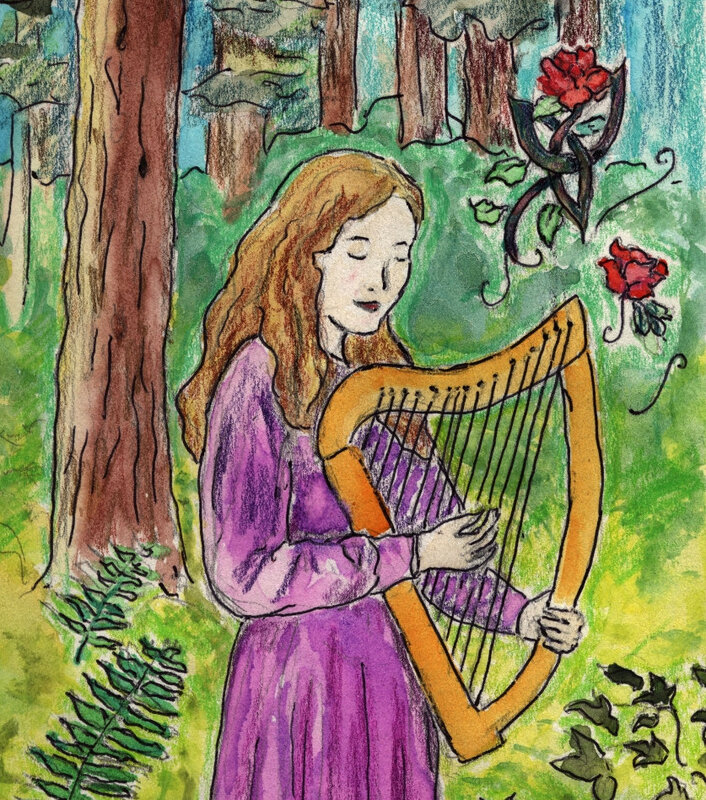 Comes in a jewel case with a lovely gatefolded booklet, featuring artwrok by Deb Knodel and a narrative journey into the magical forest that inspires this music. 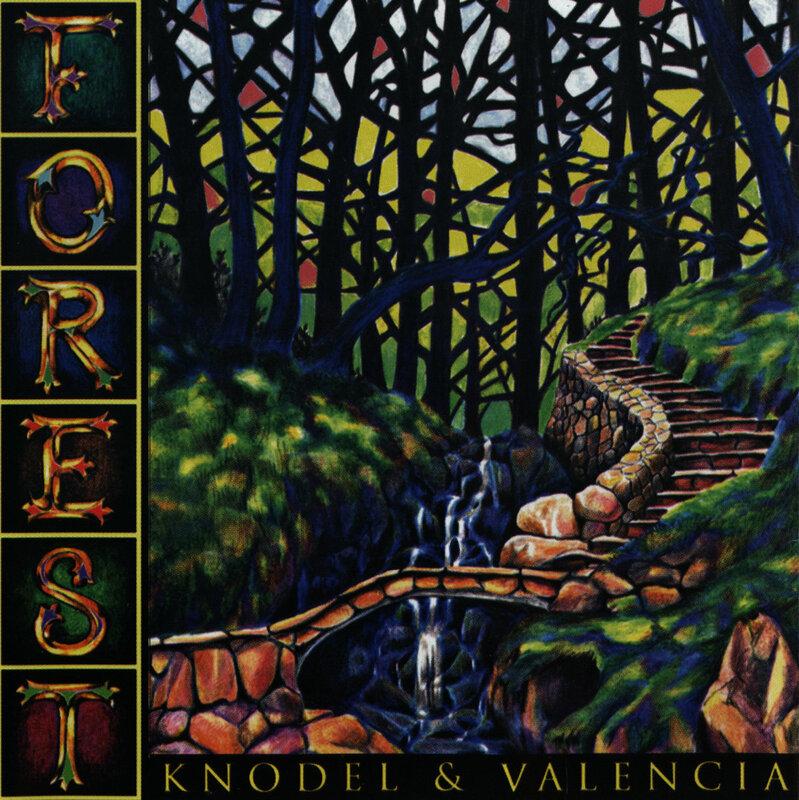 Includes unlimited streaming of Forest via the free Bandcamp app, plus high-quality download in MP3, FLAC and more. 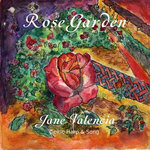 Get all 6 Jane Valencia releases available on Bandcamp and save 30%. Includes unlimited streaming via the free Bandcamp app, plus high-quality downloads of Starlit Dreams - A Quartet of Winter Tunes (EP), Streaming in Stone, Because Of The Red Fox, RoseGarden, Forest, and Masque. , and , . 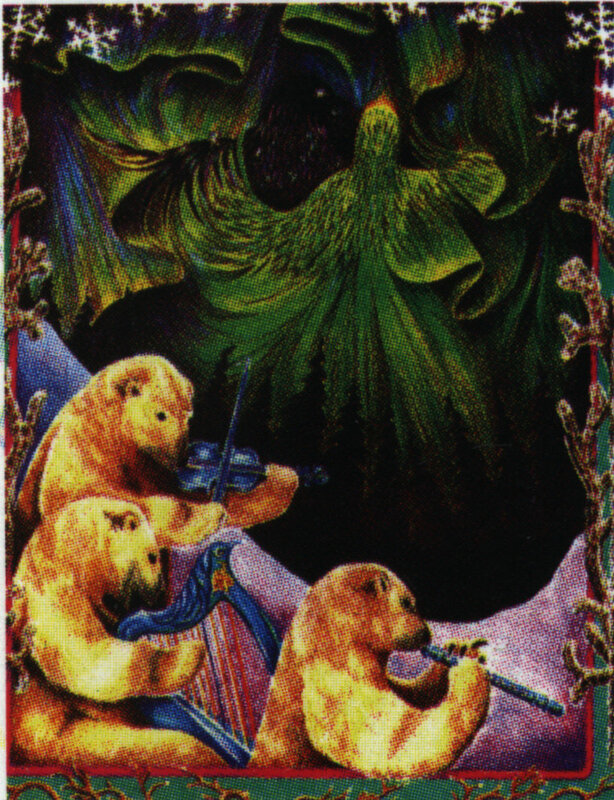 Journey into a magical forest in which mysterious creatures whisper, the Green Man dances, and the old melodies sing. 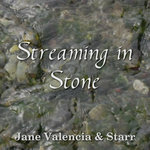 In this album, Deb and Jane's nylon- and metal-strung harps interweave with myth and song to create a space where the boundaries between time and place no longer exist. Music and magic await you! "... as rich and varied as any real forest, with unexpected glades, dramatic changes waiting round every bend, sparkling streams you have to jump across, patches of sunlight and when you get to the end, you are richer for the journey. Your emotions have been re-awakened, and you are at peace. If I had to choose one word to characterized Forest, it would be `uplifting'." 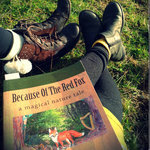 FOREST HALLS features the music and books of bardic harper, author, and artist JANE VALENCIA. 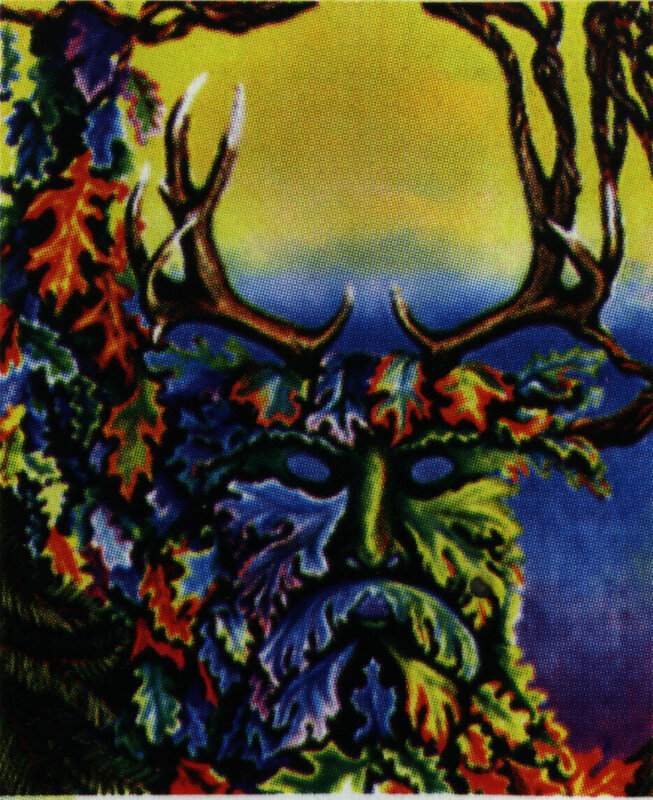 Enter the greenwood -- magic awaits you! 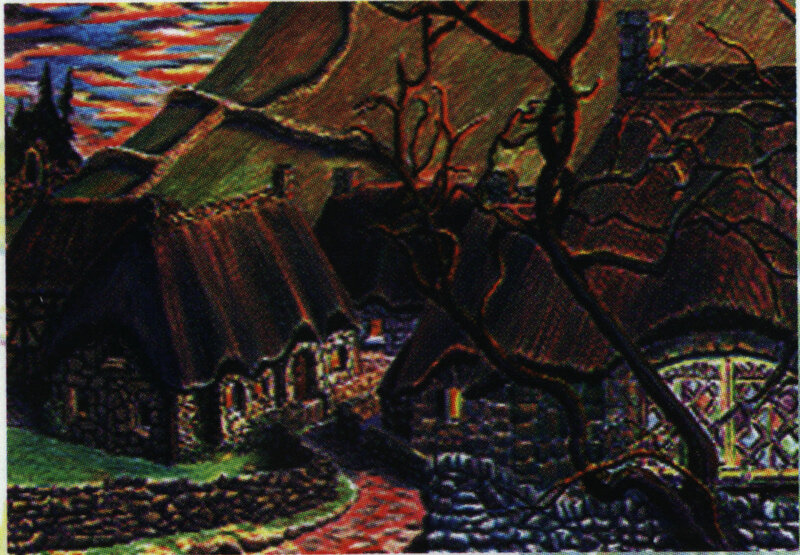 derived from an old French carol "Christmas Eve Is Here"
none could escape his dart who hadn't wings to fly. I'll whisper of wonders to sweeten your dreams. And icy jeweled necklaces decorate the streams. Whirling and growling, he laughs at the moon. 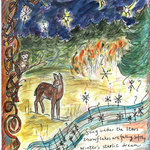 His song will soon soften to summer's gentle tune. The Great Bear smiles from her home near Polaris. 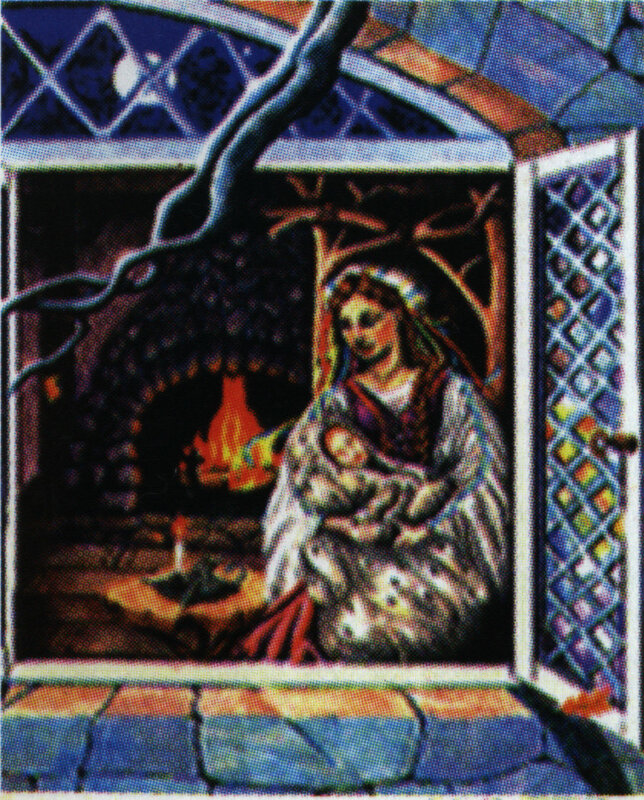 She's guarding our passage through winter's enless night. Young shoots of grass lie suspended in snow. Breaking icy enchantments that stop the river's flow.